If you are looking for a used Dodge Avenger in Windsor, Chatham and surrounding area, the AutoMAXX sales team will be able to satisfy your needs. 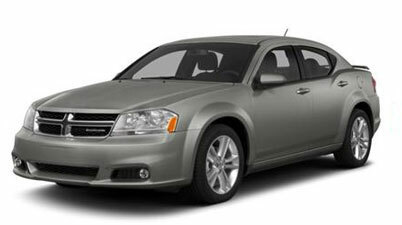 AutoMAXX always has a great selection of pre-owned Dodge Avenger in stock and add to the vehicle inventory daily. At AutoMAXX we proudly sell and service used Dodge Avenger to customers from Windsor, Chatham, Essex, Tecumseh, Tilbury, Leamington, Lakeshore, Merlin, Kingsville and LaSalle. The Dodge Avenger is an attractive midsize sedan, most notably for its sporty features and standard equipment which it typically found in higher class vehicles. The Dodge Avenger is offered in three trim levels: SE, SXT, and R/T. Two engine choices are offered on the Avenger, a 2.4-liter four-cylinder engine, or a 3.6-liter flex-fuel V6 engine. Four cylinder engines can be had with either a four-speed automatic transmission, or six-speed automatic transmission with manual shift mode. The V6 engine is matched to a six-speed automatic transmission with manual shift mode. Standard and optional equipment include leather wrapped steering wheel, heated front seats, cruise control, LED brake lights, aluminum wheels, multimedia center with 28 gigabytes of internal memory, USB port, and Bluetooth streaming audio. Safety features found on every Avenger include stability and traction control systems, anti-lock brakes with brake assist, active front head restraints, six airbags, tire pressure monitoring and a security system. For 2013, the lineup has been simplified by removing the SXT Plus trim. The SXT trim now features fully automatic headlights and fog lights as standard equipment. Source Chrome Data. Recent improvements make the Dodge Avenger a contender, delivering more bang for the buck than most competitors. Its interior still isn't the richest or most sophisticated in this class, but it's roomy, quiet, straightforward and effective, like the car in general. The ride/handling balance is excellent. With a choice of engines, a range of models and good mileage ratings, the Avenger mates value and features with prices that are hard to beat. Sam Moses reported from Portland, Oregon. With J.P. Vettraino reporting from Detroit. Source: Chrome Data. Redesigned for 2011, the Dodge Avenger represents a substantial improvement over the previous model. Sam Moses reported from Portland, Oregon. Source Chrome Data.